I love soft pretzels. Whenever I was a kid my brother and I would grab a box of frozen soft pretzels from the freezer and make two. After they were cooked we would put cheese on top of them and cook them a little bit longer. This was one of our favorite snacks when we were home alone as kids. Now as an adult I still love soft pretzels. My husband and I will go to Sam’s Club and then split a pretzel as a snack. They are soft, salty, and delicious. Soft pretzels are one of our favorite on the snacks because they taste great, they are easy to eat on the run, and they are cheap. 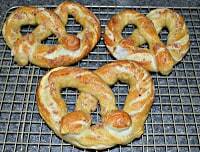 One of my favorite soft pretzels is Auntie Anne’s. I don’t really like the price of these pretzels but I sure do like the taste. I also like all of the different flavors they have. Surprisingly we have one of these shops at the mall so sometimes whenever I’m having a craving I run to the mall and grab one when I’m out running errands. 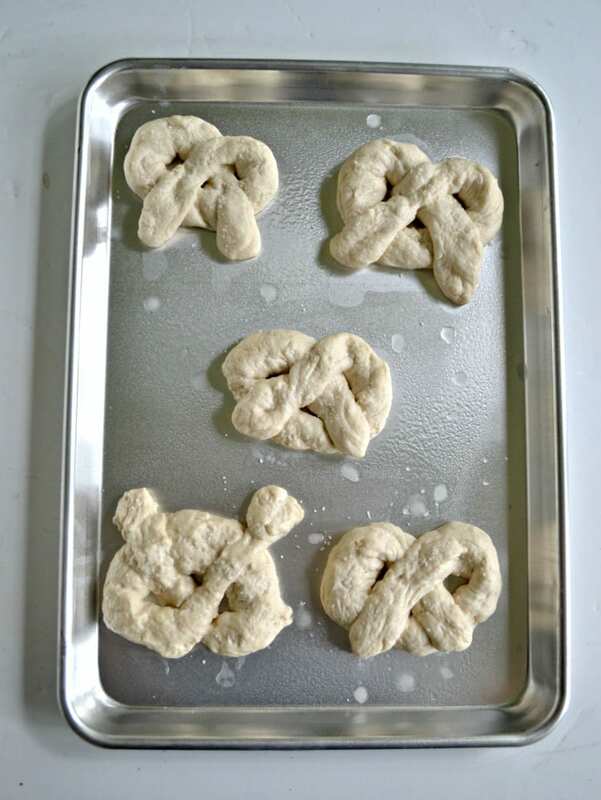 So when I saw a recipe for Copycat Auntie Anne’s pretzels I couldn’t wait to make them. I figured I could whip up a batch, see how they taste, and then if they were close I could make different seasonings to put on top. 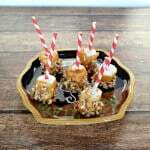 I was so excited to make them that I did it the day after I found the recipe. The first issue I ran into was that the dough was super sticky. There was no way I’d be able to roll it into a pretzel with how sticky it was. I ended up adding an additional cup of flour which helped. Once the dough had risen I made it into pretzels and baked them up. The pretzels were really tasty but unfortunately they didn’t taste like Auntie Anne’s. So while we totally enjoyed them, these were no substitute for the original. These pretzels were firm on the outside and soft and bread like on the inside. If you like soft pretzels definitely give these a try. 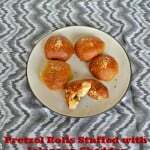 If you like soft pretzels give these delicious and soft pretzels a shot! In a large bowl combine the warm milk and yeast. Stir and let sit for 5 minutes. After 5 minutes add in the brown sugar and melted butter and mix well. Add the flour a half cup at a time, stirring after each addition, until a soft dough forms. Stir in the salt. Turn dough onto a floured surface and knead for 6-8 minutes. 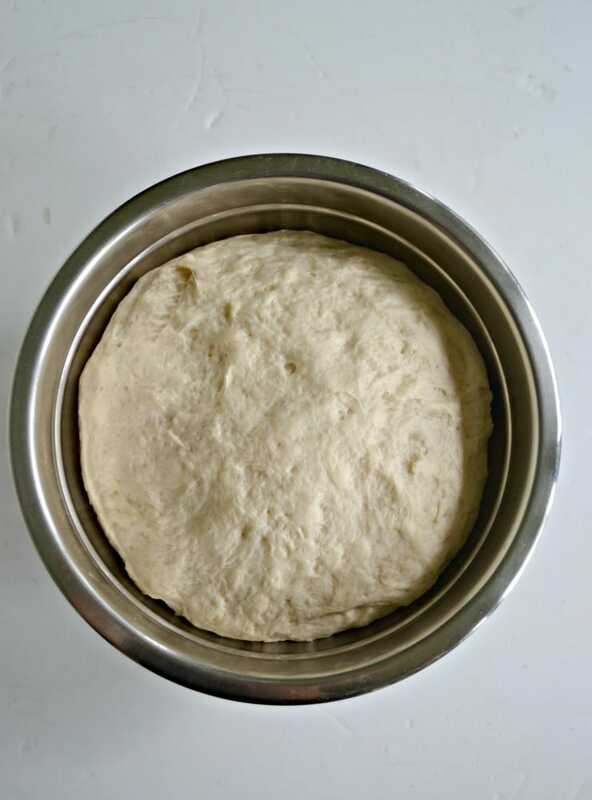 Place dough in a greased bowl, cover, and let rise for 1 hour. Dough should double in size. Mix the water and baking soda together in a medium bowl. 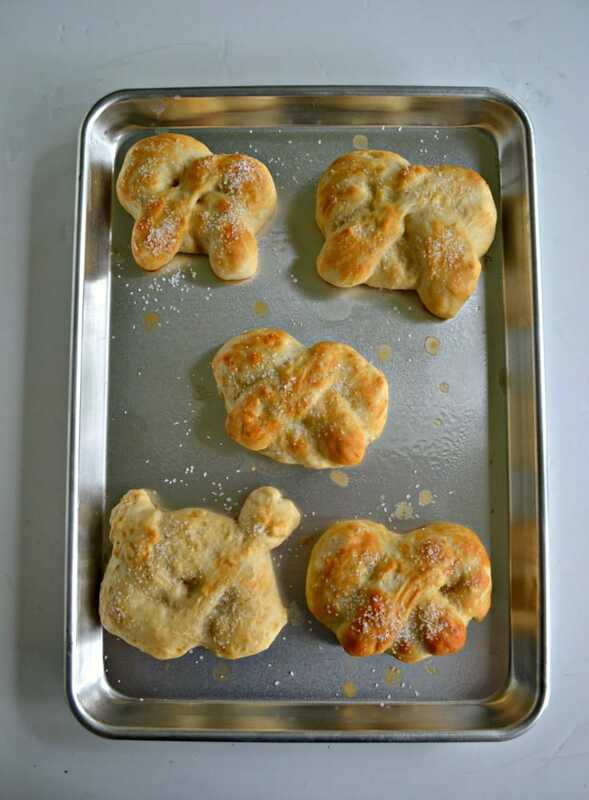 Punch the dough down and divide it into 12 pieces. Roll each piece into a 12-18 inch rope. 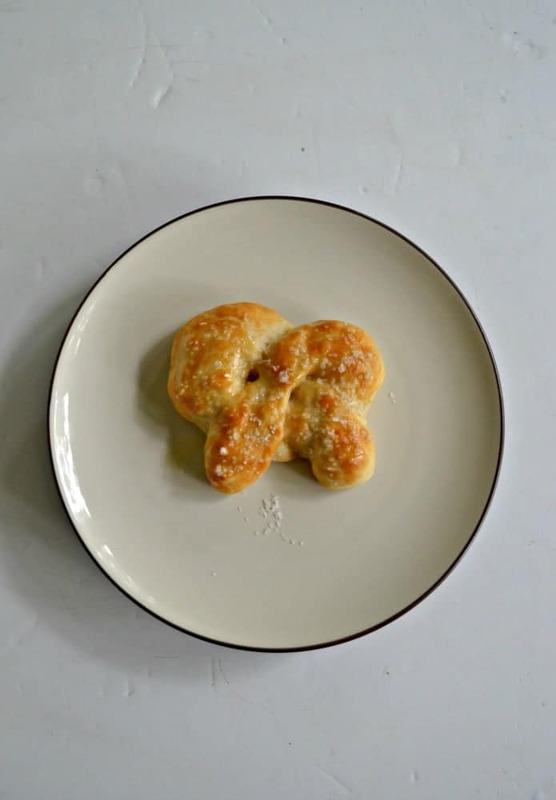 Shape into a pretzel, dip in the soda water, and place on a cookie sheet. Sprinkle with coarse salt. Bake in the oven for 9-11 minutes. Remove from oven, brush with melted butter, and bake for an additional 4-5 minutes or until golden brown. I’m a HUGE fan of Auntie Ann’s! Recently, one of our Walmart stores replaced their McDonald’s with Auntie Ann’s! Hoping they ALL do! Used to be able to buy their kit at Walmart and it was much cheaper than buying the kit from AA itself. Haven’t checked lately because I’ve been buying the pretzels in the bread section that Walmart now offers. 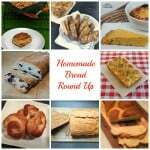 Bake a few minutes and YUM! It’s $2.50 for 2. Not Auntie Ann’s but they’re really good. I fix them in my air fryer and they’re even better! Sounds tasty and like an easy option!